With a population of approximately 1.2 million, Dallas is the 3rd largest city in Texas and the 9th largest in the United States. Dallas was founded in 1841, and is well known for it's connection to the oil and cotton industries. 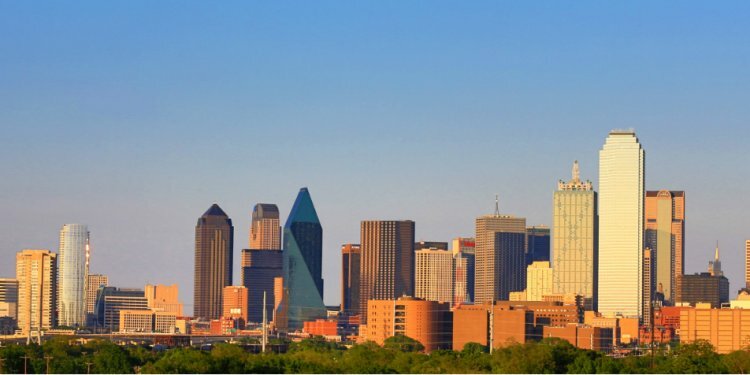 Dallas is the largest economic center in the Arlington, Forth Worth, Dallas metropolitan area. Dallas is home to several Fortune 500 companies and has an economy primarily based on telecommunications, banking, computer technology and commerce. The new Dallas Stadium was built in 2009 and acted as host to Superbowl XLV and the 2010 NBA All Star game. Not only is Dallas known for its barbecue, authentic mexican, and tex-mex cuisine, but it's famous for it's subtropic climate. Although the city of Dallas has a relatively high crime rate, the outlying cities such as Highland Park, Richardson, Plano and Garland lower crime rates (and higher incomes and education levels). University Park is home to Southern Methodist University. Like its neighbor, Highland Park, it is a city partially surrounded by the municipality of Dallas. With a population of approximately 23, 000, beautiful homes, and lush green space, University Park has been described as the suburbs inside the city limits. Many of the people living in University Park are associated with Southern Methodist University, and as a result, their daily commute can be measured in footsteps rather than miles. University Park is within the highly coveted Highland Park Independent School District which has consistently been ranked amongst the top public schools in the state. Students will attend either Hyer Elementary or University Park elementary, then Highland Park Intermediate School, and finally Highland Park High School. Fine dining, and great shopping can be found in the University Park area. Highland Park, named for its higher elevation compared to the surrounding area, is the 40th wealthiest city in the United States and the 19th wealthiest city with a population of over 1, 000. for a neighborhood only 2.26 square miles in size, Highland Park is the 3rd wealthiest location in Texas by per capita income. Highland park has approximately 8, 900 residents. and its Highland Park High School in nearby University Park was ranked as the 15th best high school in the United States, 2008. Highland Park Village, a National Historic landmark, is the prototype for shopping centers all over the country.